Undoubtedly, Microsoft Outlook is the most widely known email platform used by different organisations as well as for personal use. Moreover, Personal Storage Table (.pst) is an open proprietary format used to save all messages and another mailbox items including contacts, calendar, etc. Previously, MS Outlook 2002 and its older version supports ANSI PST that has only 2GB of storage capacity. However, after this, a new UNICODE PST came into existence, which is useful in Outlook 2003 and all its later versions, it gives 20 GB file size limit and also increases up to 50 GB. In simple words, the type of PST file varies according to MS Outlook versions. Although there may be some situations when a .pst file has reached its maximum size limit and it turns to be corrupted or inaccessible files. Besides this, it may slow down the system performance so there is a need to eradicate PST file size too large error by splitting Outlook PST files when needed. 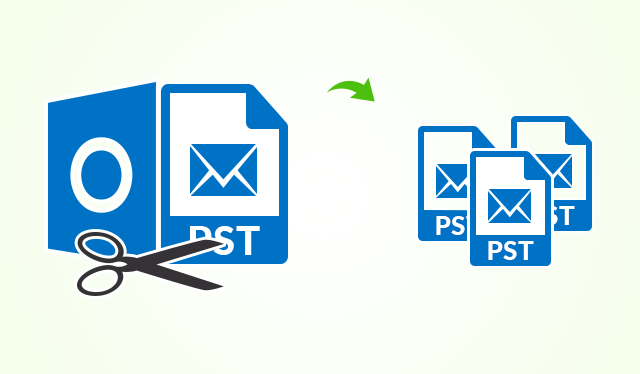 In the following section, you will get to know the method to split oversized PST file in Outlook 2016, 2013, 2010, 2007 & 2003. Also, a third party tool has been discussed as a faster approach to break up PST file. Outlook is the most frequently used application, so you must be well aware of the fact that there is no any direct way that can break up large PST file. Even though, there are several features in MS Outlook i.e., Import/ Export as well as Archive option. These benefits are only present in Outlook 2007 and all the new versions. After clicking the Add option, then, a new window will display again. Next, select an option Create or Open Outlook Data File. To break up PST file manually the users may find many flaws in between the process. Thus, the above-stated approach is quite difficult and must require the complete knowledge of MS Outlook. Meanwhile, it will also become a problem for the non-tech users to divide large Outlook .pst file. Henceforth, to overcome all such limitations, one can go for a reliable third party software. One such advance solution is Split PST tool that can easily break up PST file by date, year, size or folder. Especially, it is designed to break any size .pst file into multiple smaller parts. In addition, it provides such user-friendly interface so that even a naive user can utilize it without any complications. Also, it offers an amazing feature to split Outlook archive file. It is an all-rounder approach to perform the dividing or breaking operation. For managing all Outlook data files most of the time, it is essential to divide Outlook PST files. In the above-discussion, we have already discussed two different measures for breaking Outlook PST. Although these two approaches have some constraints so users can take help of an automated solution named as PST Splitter Software. It will help in dividing an oversized PST file into smaller parts. It has provided an easy-to-use interface that makes easy for a novice user to break up PST file in Outlook 2016, 2013, 2010, 2007, 2003.